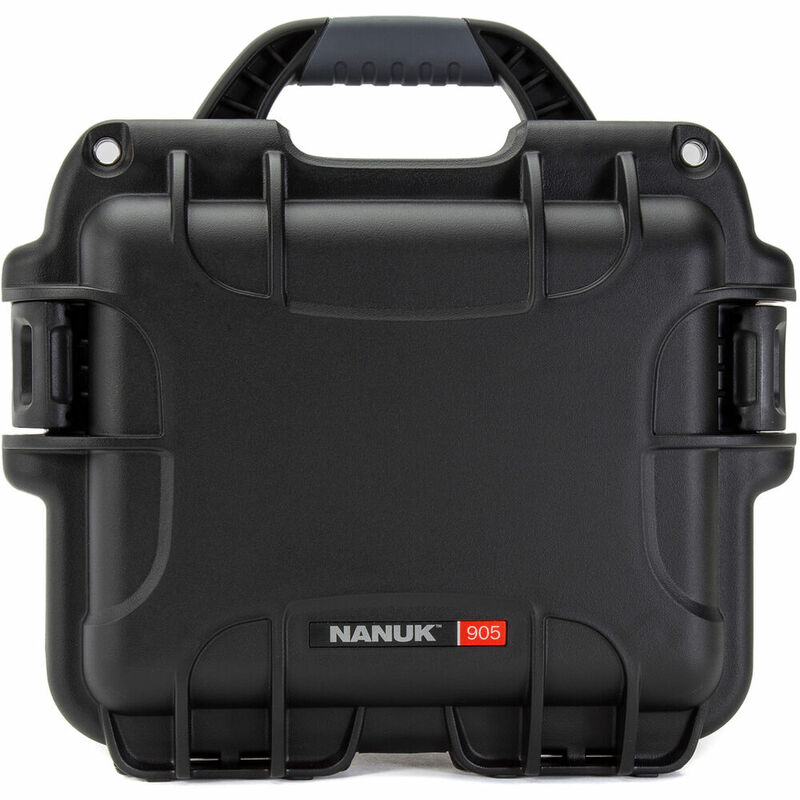 The black, waterproof 905 Case from Nanuk is a small crushproof hard case made from lightweight NK-7 resin that protects and stores compact gear, such as a point-and-shoot camera or a pair of binoculars. To protect your gear within the case, an optional multi-layered cubed foam insert is available with pre-scored squares, which can be individually removed to accommodate the shape of your gear. Alternatively, an optional padded divider insert (sold separately) is available, with removable touch-fastened dividers that provide your equipment with compartmentalized and protective organization. The dustproof case secures with the Powerclaw latching system, which includes a patented Powerclaw latch that uses compressive force to tightly clamp the case shut, plus an integrated slide lock that prevents the case from opening during transport or when dropped. 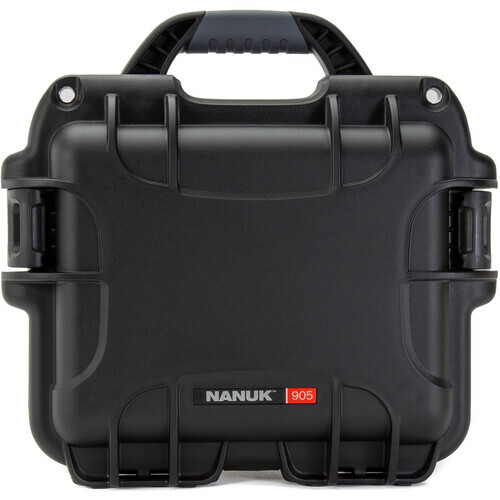 For additional security, there are hasps for adding optional 900 Series Nanuk padlocks or a tie lock when traveling. Box Dimensions (LxWxH) 14.0 x 11.0 x 7.0"